The archetypical American muscle car is available in right-hand-drive for the first time in its 52-year history. Some American objects just don’t travel well: I yield to no man in my admiration of Bruce Springsteen and bourbon whiskey – other staples like root beer, Hershey’s chocolate, and grits leave us Brits as baffled as a Yank faced with drinking a pint of warm, flat bitter while watching a game of cricket in the rain. Nowhere is this cultural divide more apparent than with cars; while world cars like the Ford Focus and Toyota Corolla have been spearheading the assault on the American domestic market, it has been a one-way street with few cars making the return journey east. 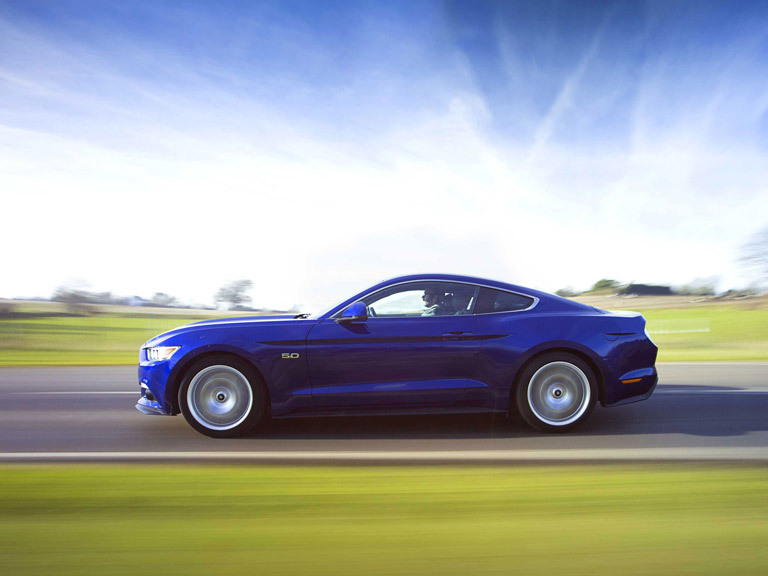 However, that’s about to change because the Ford Mustang, surely the archetypical American muscle car, is now available in right-hand-drive for the first time in its 52-year history. 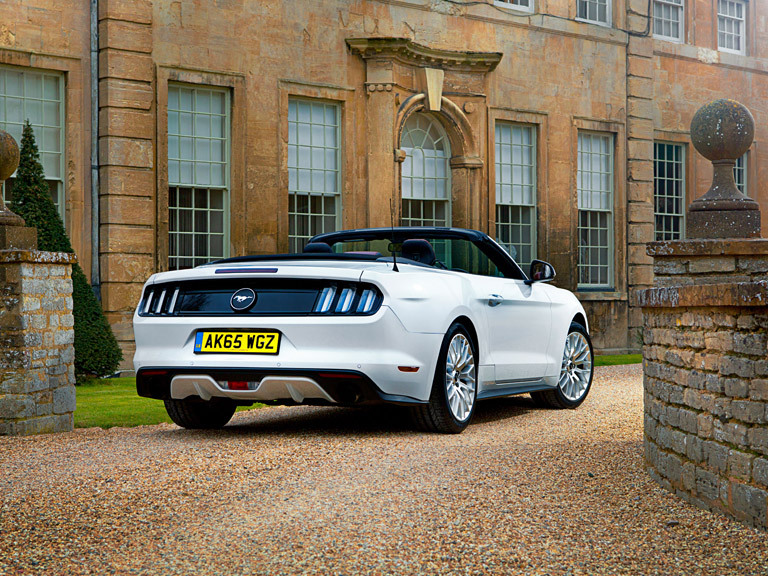 This is something of a seismic event for lovers of Americana, not least because of the availability of the thunderous 5-litre V8 engine that is as much a part of the ‘Stang’s image as the long bonnet and short rear overhang, both which are also present and correct on this very 21st century incarnation. 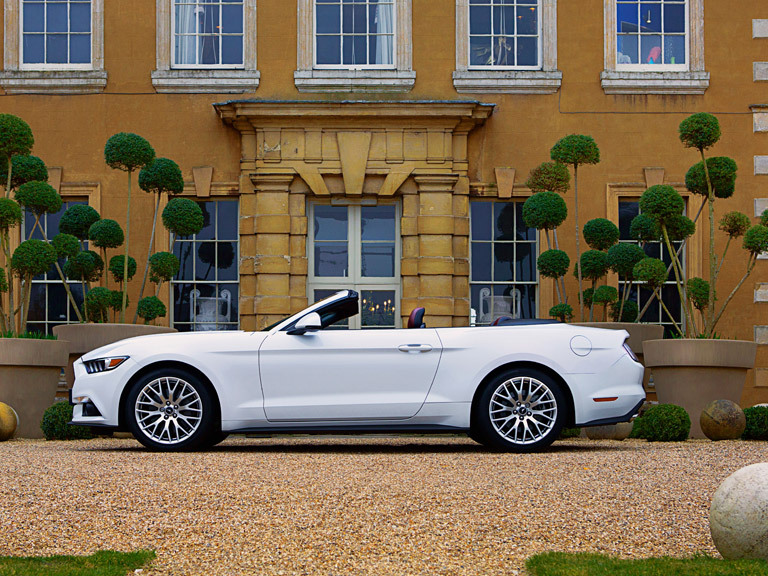 I started the day in the most iconic Mustang of the lot: A 5.0-litre, V8 convertible with an automatic gearbox. If any car was perfectly designed for cruising in style while the sun is shining, then it is this car. It was sunny but extraordinarily chilly, and while the heated leather seats did a fine job of warming my nether regions, my neck and head were freezing because there was no wind deflector or diffuser, something the drop-top Mustang badly needs if it’s to cope with an al fresco British winter. But everything else went swimmingly; there really can be no finer way to start the day than by wafting around in an iconic classic like this with a friend beside you helping put the world to rights. The Mustang rides well and steers much better than you imagine a car like this would; the old American cliché of not going round bends has now been well and truly debunked. It stops on a dime too, and generally behaves like a fully-fledged member of the modern world, which is not something that can be said of all of its ancestors, no matter how beautiful they may be. In this version you get looks and performance and handling, a triumvirate that should keep the naysayers quiet for a while. Ford claims that the V8 will reach 62mph in just under 5 seconds, but few owners would want to drive like that more than once, out of respect for their wallet if nothing else. Better by far to enjoy whoffling around in comfort with that glorious engine under the bonnet and the wind rushing through your hair. 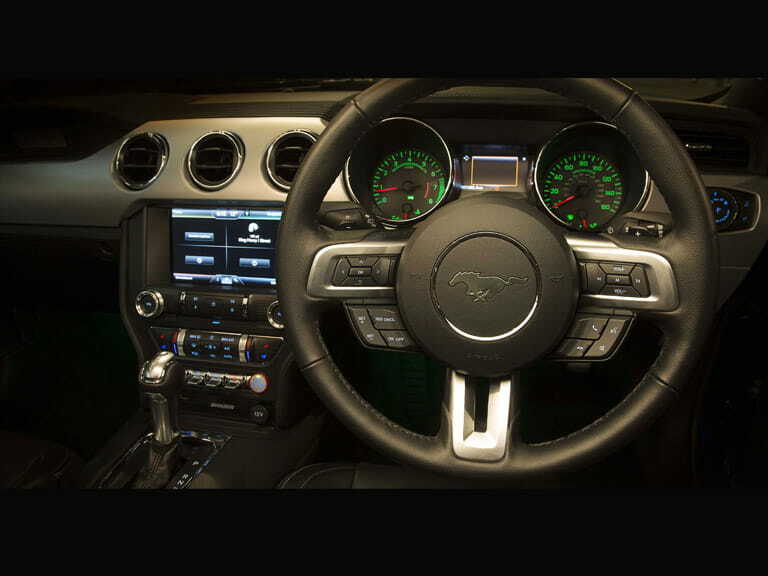 The Mustang hides its cruising speed well too, which means you need to keep a keen eye on the speedometer, which is charmingly marked ‘GROUND SPEED’. Nice touch. 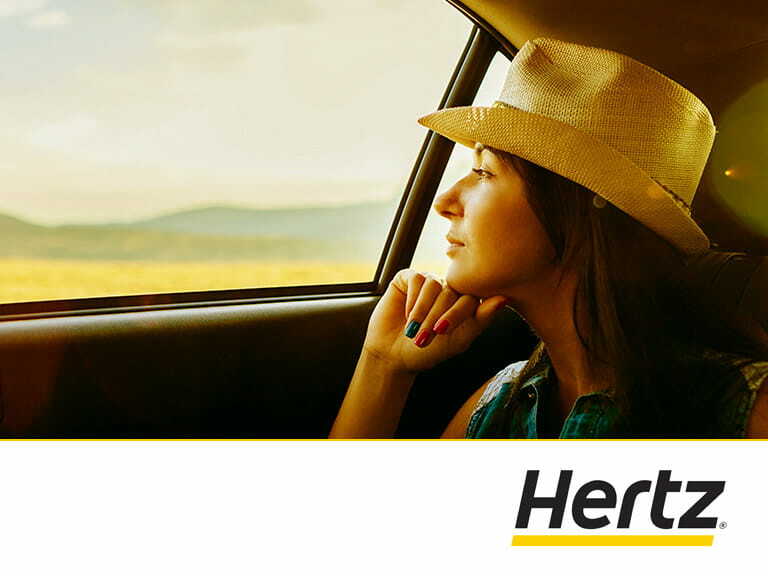 What is the difference between petrol and diesel engines and which one will suit you? 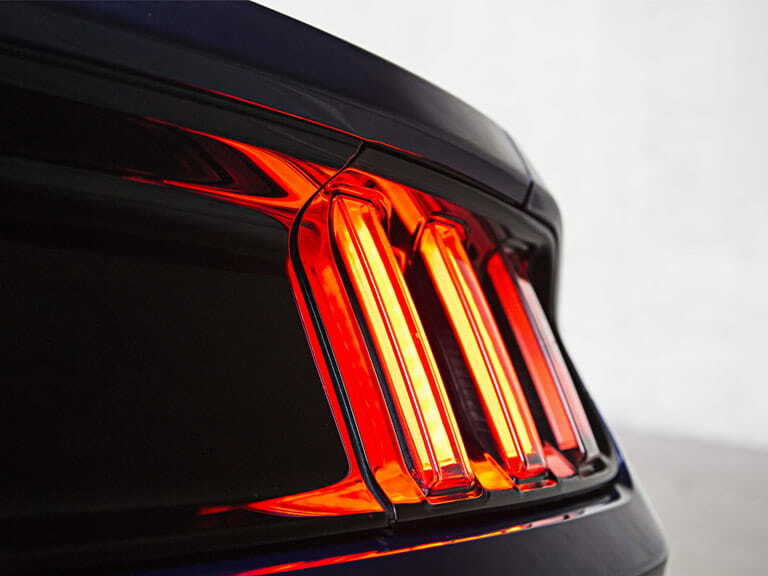 My initial conviction – and yours too, I’ll wager - was that anyone buying a Mustang should pony up for the full-fat, non-homogenised, calorie-laden V8 version. I assumed that the turbocharged four-cylinder EcoBoost engine was there only as a sop to the environmentalists and the poor. So I pulled away in a manual EcoBoost fastback with a sense of righteous disappointment; the 2.3-litre engine sounded OK but a car like the Mustang is about drama and theatre and, if I’m being honest, showing off, and it’s hard to show off with something this puny under the bonnet. I was (and not for the first time as my wife will attest), completely and utterly wrong. 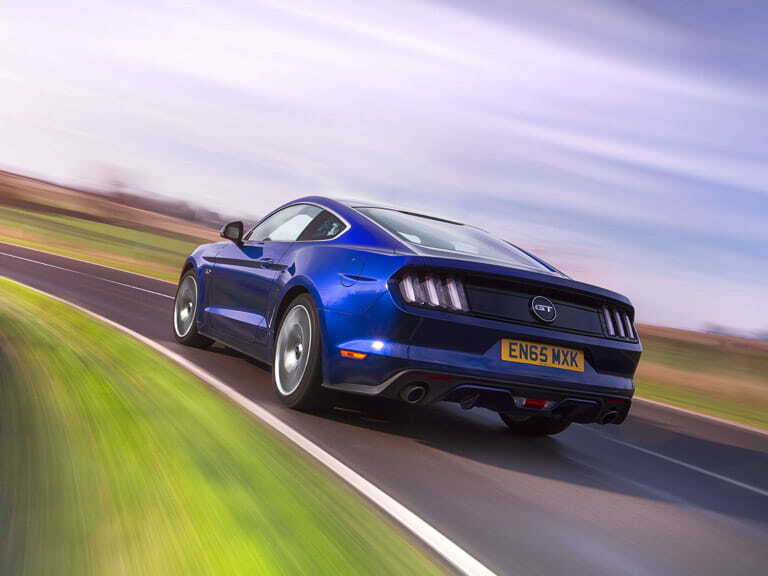 The EcoBoost Mustang felt taut and lithe and far more sporting than the bigger-engined car, positively encouraging you to wring out its performance. Where the V8 encourages you to adopt a classic American one-elbow-on-the-door driving position, the EcoBoost delivers every Steve McQueen fantasy you’ve ever had. Sure, you lose that wonderful V8 burble from the exhaust but you gain so much more that you’ll only miss those 5 litres on the overrun. It might be ultimately as quick, but it feels quicker and part of the fun of driving a sports car is, surely, to be able to drive it hard? Not that this is a sports car in the Jaguar F-TYPE mould. 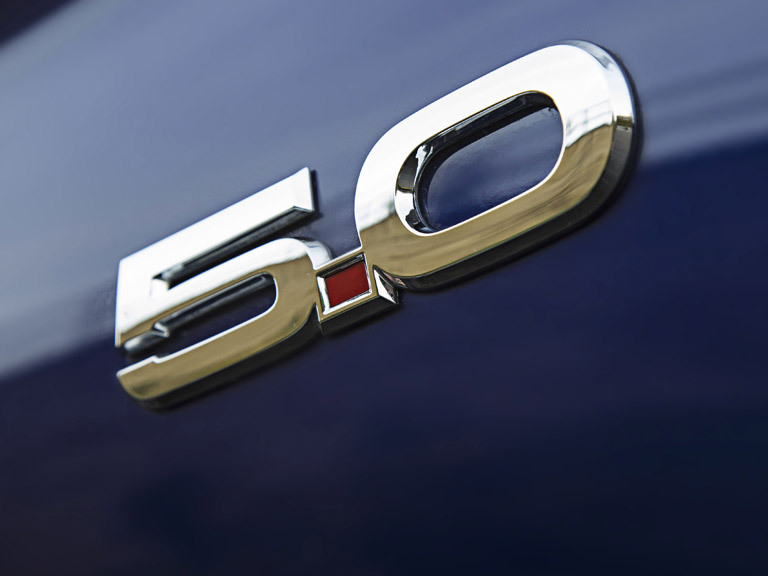 The Mustang is an absolute bargain in terms of performance per pound spent, costing half what the Jaguar does but dynamically they’re poles apart. That’s not to say there isn’t fun to be had, because there definitely is but it’s a laid-back, Dukes of Hazzard-style, rather than the knife-edge, inch-perfect control of the Brit. If you argue this is a good thing, I would find it hard to disagree; I drove the F-TYPE for a week and while I absolutely loved its looks, it only felt satisfying at very high speed and given that I’m not looking to go out thirty years early in a blaze of tyre smoke and oversteer, I appreciate low-speed thrills more than ultimate handling at ten-tenths, hence my current, unrequited love affair with Mazda’s gorgeous MX-5. There are four dynamic settings to choose from: Normal, Sport Plus, Track, and Snow/Wet, all of which alter the car’s throttle response, steering effort, and stability control settings plus, on cars fitted with the automatic gearbox, the shift points. Sport Plus felt more suited to the car’s nature than Normal did, and Track is almost certainly redundant given the road-biased nature of the car. Still, I’m sure that the brave or foolhardy will find plenty of amusement to be had on a race circuit, although it’ll probably be more good-natured than deadly serious. Speaking of which, the 5.0-litre car also features the hilarious Line-Lock, which locks the front brakes to allow you to spin the wheels for up to 15 seconds, nominally to warm them through before you pull your ‘Stang out of the pits and onto the race track. 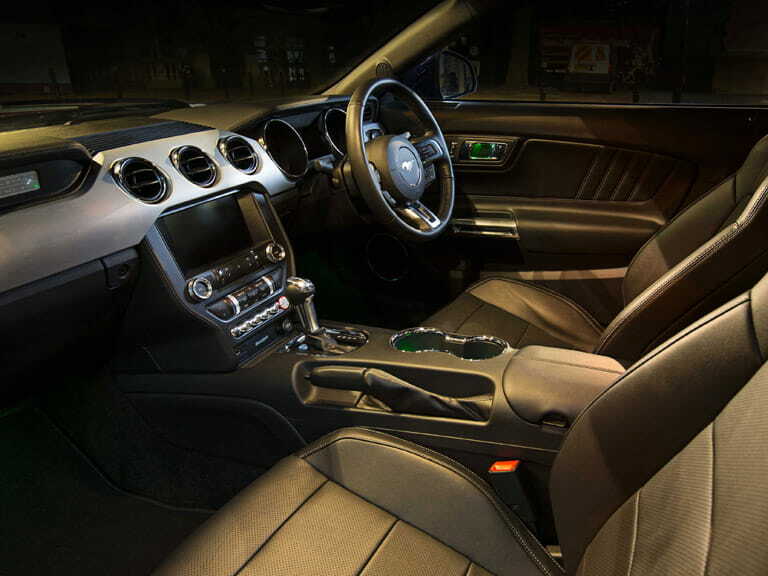 The rest of the interior is easily as good as it needs to be, and equipment levels are good. So, to return to where we started, the introduction of the right-hand-drive Ford Mustang will either leave you cold, or very excited. 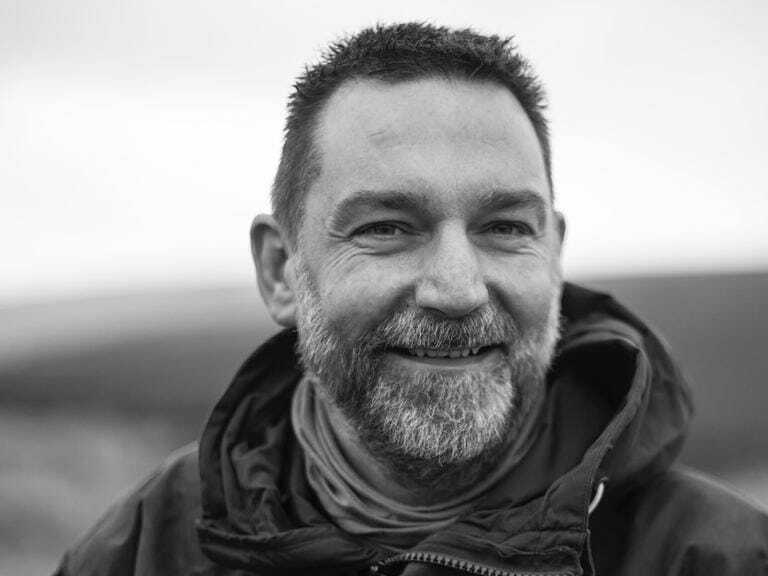 If you do decide to take the plunge – and 3,500 people have done so already – you are in for a treat. Prices start at just over £30,000, with the automatic gearbox commanding a £1,500 premium over the manual, and the convertible a £4,000 premium over the fastback. If you want a Mustang in your life for the noise and to show off a little (and why wouldn’t you? ),then a V8 convertible will do the job very nicely indeed. 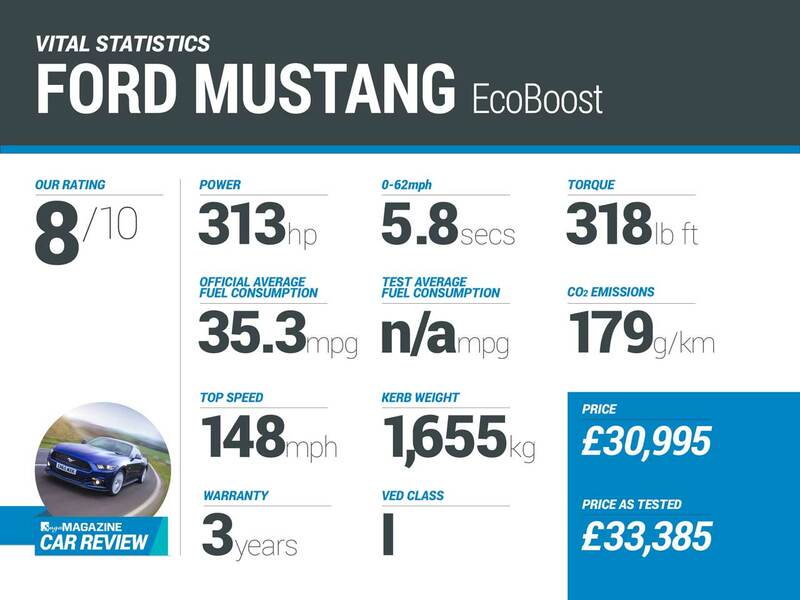 But the keen driver should save a few pounds by ordering an EcoBoost fastback. And if you choose it in either Lightning Blue or Magnetic Grey, you can do so knowing that I heartily approve of your choice of colour too. Best-in-class – There is only the Mustang really, unless you include a secondhand £35,000 F-TYPE, in which case I’d still take the Yank on a smiles-per-gallon basis, although the Jag has it beaten for looks, obviously. The best of the rest – The Toyota GT86/Subaru BRZ offer the same old-school, rear-wheel-drive fun but aren’t half as engaging. Or cool. Left-field alternative – The BMW M235i is faster, smaller, nimbler and handles much better than the Ford, but I’m guessing that never the twain shall meet on any shortlist. 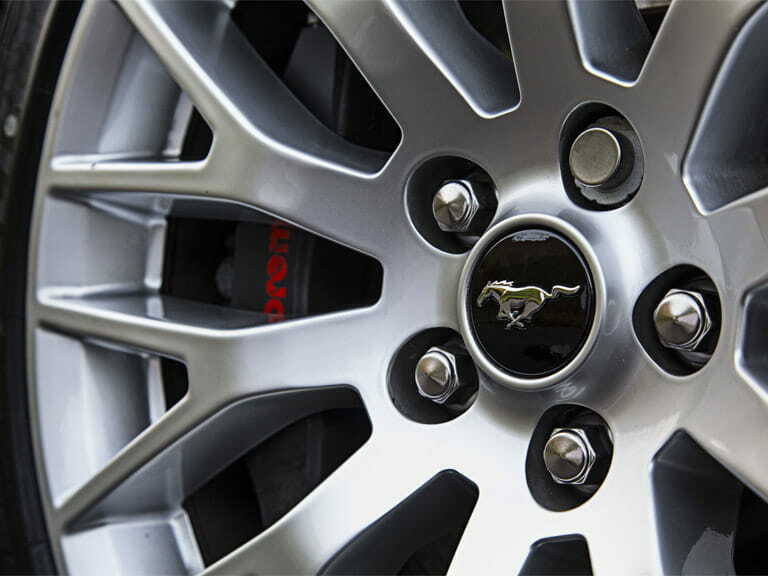 The Ford Mustang is mad, bad and dangerous to know. I loved it and the UK buying public did too, snapping them up with merry abandon. Ford, ever keen to maximise sales, has just given it a light facelift to keep it fresh and the tills a-ringing. But, the changes are minor and pretty much comprise a sleeker face, new colours and a new ten-speed automatic gearbox. 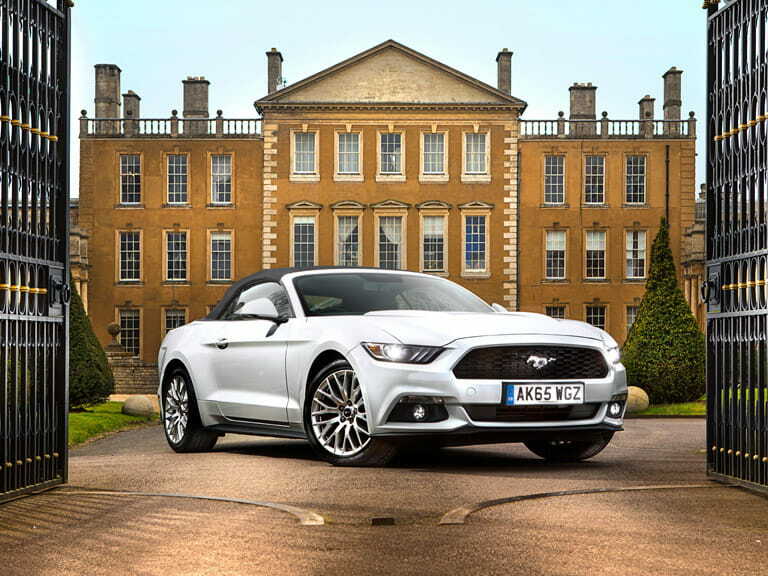 Given the Mustang’s old-school nature, I’d be tempted to buy a 2017 manual V8 convertible for £30,000, saving myself £11,500 on the price of the new model.